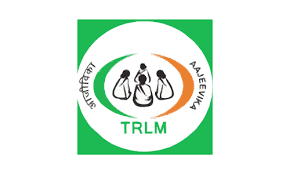 TRLM Recruitment 2018.Tripura Rural Livelihood Mission (TRLM)has released a notification for the recruitment of Cluster, Livelihood & Block Mission Coordinator vacancies.Check the eligiblity and notification prior to apply for the positions. apply for the said posts. For Chief Operating officer maximum age limit is 45 years of age. Financial Inclusion maximum age limit is 65 years of age. All others maximum age limit is 40 years of age. The salary will be Rs.15000/- to Rs.100000/- per month for the Cluster Coordinator, Livelihood Coordinator & Other posts. The Selection Process will be based on the basis of Thematic Presentation, Personal Interview Common Aptitude Test (CAT, Group Discussion (GD, Personal Interview (PI, Rural Attachment Test (RAT). https://rural.tripura.gov.in/ is the link to apply online.